A Supreme Court bench comprising justices K S Radhakrishnan and VikramajitSen said while upholding the conviction and life sentence awarded by the trial court and confirmed by the Bombay High Court to Bhagwan Tukaram Dange for burning to death his wife under the influence of liquor, ruled that intoxication of a person cannot be a ground for reducing the offence of murder in unintended killing. The bench held that intoxication, as such, is not a defense to a criminal charge. At times, it can be considered to be a mitigating circumstance if the accused is not a habitual drinker; otherwise, it has to be considered as an aggravating circumstance. Dange, along with his father, was charge sheeted under Sections 302, 498A (subjecting a married woman to cruelty for dowry) read with Section 34 (common intention) of Indian Penal Code and sentenced to suffer imprisonment for life, with a default sentence. They had returned to their house on the evening of October 18, 1998 fully drunk and demanded rupees 200 to rupees 300 from the victim and on refusal, she was severely beaten up and asked to bring it from her parental house and later on burnt to death. Aggrieved by the order of conviction and sentence, they filed Criminal Appeal before the High Court of Bombay and the same was dismissed vide judgment dated 09.02.2004. Aggrieved by the judgment of the High Court he filed an appeal before the apex court. While citing Bablu alias MubarikHussain v. State of Rajasthan wherein the question, as to whether the drunkenness is a defense while determining sentence, came up for consideration before this Court, this Court held that the defense of drunkenness can be availed of only when intoxication produces such a condition as the accused loses the requisite intention for the offence and onus of proof about reason of intoxication, due to which the accused had become incapable of having particular knowledge in forming the particular intention, is on the accused. The Court, who examined Section 85 IPC, held that the evidence of drunkenness, which renders the accused incompetent of forming the exact intent fundamental to constitute the crime should be taken into account with the other facts, proved in order to determine whether or not he had the intention. Court held that simplyascertaining that his mind was affected by drink so that he more voluntarily gave way to some violent passion does not disprove the presumption that a man intends the natural consequences of his acts. This Court, in that case,rejected the plea of drunkenness after noticing that the crime committed was a brutal and diabolic act. Submission of Mr. Ranjan Mukherjee, learned amicus curiae, was that the evidence recorded was inadequate to warrant a conviction in the absence of any direct evidence. Learned counsel also pointed out that there were a lot of irregularities in the dying declarations recorded and a conviction solely on those erratic versions cannot be sustained. It was also submitted by the Learned Counsel that unless there is corroborative evidence, no reliance could be placed on the inconsistent versions given by the deceased in the dying declarations. He further submitted that, the present case would not fall under Section 302, and, at best, it may fall either under Section 304 Part I or Section 304 Part II. 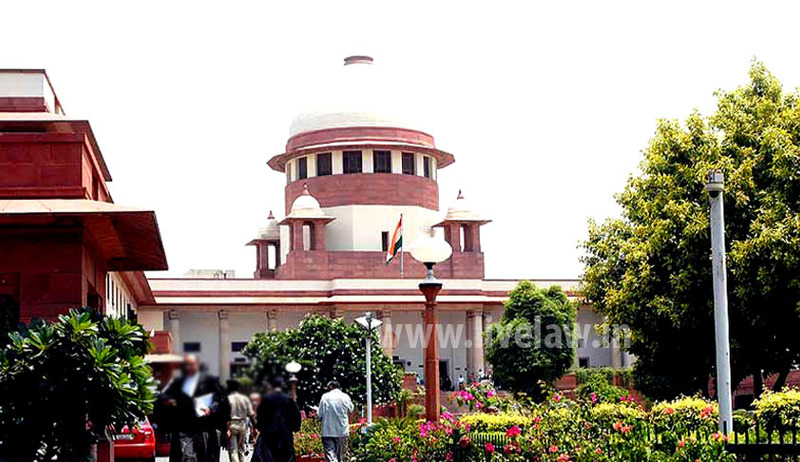 The apex court bench found it difficult to accept the contention of the counsel that since the accused-Appellant was under the influence of liquor, the offence would fall under Section 304 Part I or Section 304 Part II (unintentional killing or culpable homicide not amounting to murder (with intention). The court was of the view that the accused was correctly charge-sheeted under Section 302 IPC and it found no reason to interfere with the conviction and sentence awarded by the trial court and affirmed by the High Court.